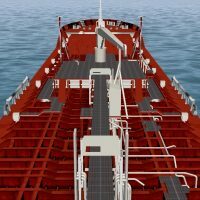 Transas Liquid Cargo Handling simulators are designed to train and certify crew members of liquid cargo tankers, gas carriers and terminals, as well as other staff responsible for the safe cargo handling and the operation of auxiliary equipment. 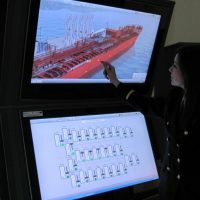 Liquid Cargo Handling simulator provides an exact, detailed copy of vessel/terminal systems and its compartments. This simulator is an ideal solution for training centres, academies, government authorities, shipping companies, coastal centres and crewing agencies. Also the simulator enables onboard training and demonstration of competency. Safely perform and monitor all cargo operations. Tanks, hull strength, ship stability and ship loading in the simulator are calculated by the Load Calculator System. This program links all the necessary shipboard calculations with the ship loading, its stability and strength. The inclusion of this program is driven by STCW 2010 recommendation B 1/12, i 40 (2,3). Ship model library includes the major gas and oil tankers used in the marine cargo handling industry worldwide. All simulator models are based on the real ship prototypes and replicate its system. The terminal simulators reproduce the real gas/oil terminal stations equipment and provide a trainee with detailed layout familiarization and management of the terminal systems. Different cargo types can be selected from the simulator databases. Operations are carried out for almost all types of cargo. The math-model allows processes to be accelerated in order to reduce the training time, without any deterioration in realism. The interface is optimized for familiarisation with the operating principles of the entire system and to provide practical skills in equipment handling. The main tanker units are depicted as 3D objects, showing cross sections of individual assemblies. Computer animation is used to display current processes. Proficiency in tanker technological operations. 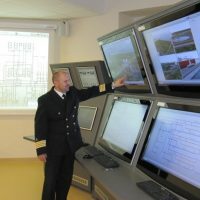 IMO 1.06 “Specialized Training for Liquefied Gas Tankers”. Ensure safety of life at sea and protection of the marine environment.